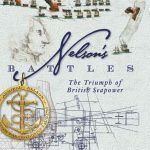 A fine book, one that conveys not just the historical and technical details of Nelson’s battles but their very atmosphere. From St Vincent to Trafalgar, all Nelson’s battles are here. It’s a handsome, well-presented book, with many illustrations and maps to further explain the information within. 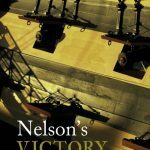 Moreover, beyond Nelson’s victories at the Nile and Trafalgar, it also gives a great deal of background detail about the British Navy of Nelson’s day. For the enthusiast and scholar alike. This would be a good companion to the above book. It is the journal of the splendidly named 1805 club, though to call it a journal does not do it justice. The research on the Georgian (Or Nelson’s) Navy is superb, though it touches on all the navies of that time period. Every volume is themed and this one is Anglo-American, focusing on North America and North Americans in Nelson’s Navy. I was amazed to discover that the US National anthem was composed onboard a British warship. But such revelations are all part of the appeal of this most unique and interesting journal. It’s great when a writer comes up with a book that fills a badly needed niche. There is a plethora of literature on Captain Cook’s voyages of exploration but this is the first detailed account of Cook’s early naval career. It goes a long way to explaining how he was chosen to lead the expedition to the Pacific in 1768. As this book proves most eloquently, by that point his naval experience had made him uniquely qualified to be an explorer. 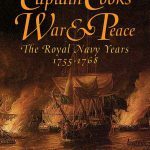 The author is an expert on Captain Cook and writes with great knowledge on his subject. A most enjoyable read and a book that would form the basis for a strong documentary on this no longer neglected aspect of Cook’s life. This has to be the definitive history of HMS Victory, launched over 250 years ago at the Royal Dockyard at Chatham. It is most associated with Nelson and his victory at Trafalgar, yet the HMS Victory is as immortal as Nelson and has many tales of her own. Brian Lavery is a superb naval historian and a great storyteller, so any book he writes is a treat. Doubly so when it is a book produced in conjunction with Seaforth. The binding, printing, and beautiful illustrations make this a superb book from a visual as well as a literary point of view. 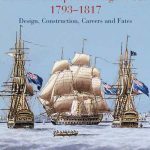 Having served for more than twenty years on the advisory committee that looks after HMS Victory, Brian is very well placed to write a definitive book on this subject. Diplomacy conducted on board Victory played a crucial role in provoking Napoleon’s invasion of Russia in 1812. It’s also interesting to note that in 1914 Kaiser Wilhelm set the First World War in motion at a chest made of her timbers! A mammoth task that has resulted in a mammoth book. Rif Winfield has made a lifetime study of the sailing warship and is the ideal author to write this book. There is no need to write a long-winded review here. This is simply the definitive book on the subject. Kudos too to Seaforth for a beautifully designed and presented book. 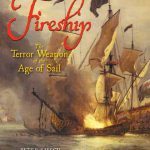 Dr. Peter Kirsch is a fine writer, one with a great interest in naval history, which makes him the ideal fellow to write a book about this most fascinating area of naval warfare. 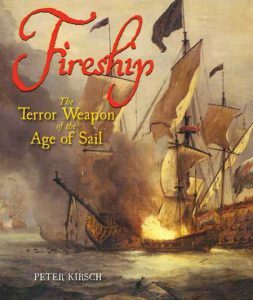 It would be hard for anyone to write a better book on fireships than this one.